We go to the ring and Lilian Garcia goes over the rules for tonight’s Battle Royal for a future title shot. Naomi is out first. Jimmy Uso is cheering his wife on tonight. Cole shows us the Spanish and German announce teams at ringside. Michelle McCool is out next, followed by Sonya Deville, WWE Hall of Famer Alundra Blayze and Carmella. We see R-Truth in the crowd cheering Carmella on. Zelina Vega is out next, followed by Kelly Kelly, Tamina Snuka, Ember Moon, Lana, Maria Kanellis, Mandy Rose, Molly Holly, Dana Brooke, Nia Jax, WWE Hall of Famer Ivory and Asuka. We see The Miz and Maryse in the crowd cheering on Asuka. Mike Kanellis was also shown in the crowd with their daughter. Torrie Wilson is out next, followed by The IIconics, Peyton Royce and Billie Kay. Peyton and Billie take the mic as the other female Superstars look on. They mock Long Island and take shots at some of the stars in the ring. They enter the ring, still talking trash on the mic. Asuka and Naomi double team Tamina now. Tamina eliminates Naomi as she charged in. Ivory slams Asuka on her face. Carmella kicks Jax but Jax shoves her down. Moon drops Jax with a DDT. Moon and Carmella botch a move. Carmella drops Moon in the corner. Carmella moonsaults and charges but Moon sends her to the apron. Moon eliminates Carmella. It’s down to Jax, Snuka, Ivory, Asuka and Moon. Tamina works over Ivory in the corner. Ivory fights back shot for shot. Ivory goes to the top and barley hits a crossbody on Tamina. Fans chant “you still got it” as Ivory poses in the corner. Asuka tries to eliminate Ivory and they tangle. Asuka eliminates Ivory off the apron with a Hip Attack. Asuka, Moon, Jax and Snuka are left. Asuka and Moon face off with Asuka smiling at her. They shove each other and go at it. Asuka with a big knee to the face. Asuka misses a Hip Attack and Moon kicks her in the face. Moon eliminates Asuka. The bell rings and everyone goes at it. 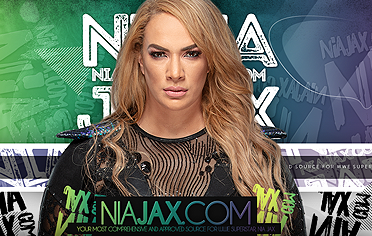 Nia tosses Dana to the corner and immediately goes after Tamina. Dana and Ember hit a double drop kick to a distracted Nia and Tamina. Nia slams Dane, elbows Tamina into the corner before running over Ember. Nia hits a flipping senton on Dana. Jax scoops Tamina for a Samoan Drop but Tamina slides out and nails a superkick. Tamina turns around to Moon hitting The Eclipse from the top. Moon covers Tamina for the win. After the match, Moon stands alone in the ring as her music hits. Jax stares her down from the floor. We go to the ring and out comes Ember Moon as JoJo does the introductions. 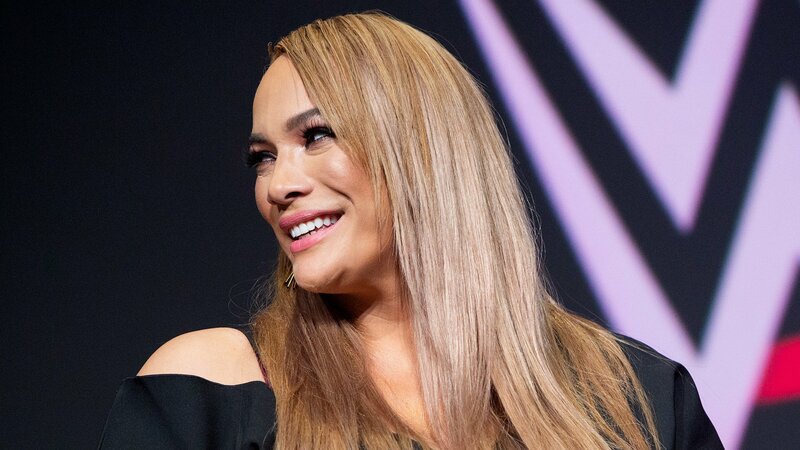 She waits on the stage and out next comes her partner – Nia Jax. We go to commercial. Jax stares Tamina down as fans pop. They go at it and Nia gets the upperhand. Jax splashes Tamina on the mat. Tamina makes a comeback and delivers a boot. Jax fights back and they trade headbutts. Tamina ends up blocking a Samoan Drop attempt. Tamina goes for a Samoan Drop of her own but can’t get her up either. Tamina finally scoops Jax up and hits the Samoan Drop. Dana ends up tagging in but Jax tosses her into the corner and splashes her. Moon tags in with The Eclipse for the pin. After the match, Jax and Moon celebrate as we go to replays. Tamina approaches Jax but Moon gets in the middle. Moon is pushed to the side. Jax and Tamina tangle but Tamina drops her with a superkick. Tamina and Ember look at each other, then tip Jax over the top rope to the floor. Fans boo. Tamina talks trash to Jax and Moon tries to dump her over the top rope from behind but Tamina stops her. Dana comes from behind and puts them both over the top. Dana stands tall in the ring as her music hits. We go to the ring and Ember Moon waits as Nia Jax makes her way out. The bell rings and Ember ducks a clothesline. They tangle and Nia blocks an arm drag, swatting Moon to the mat. Moon tries to mount some offense and stuns Nia with an enziguri but she’s still standing. Moon goes for a crossbody but Nia spikes her to the mat. Nia stalks Moon and splashes her in the corner. Nia tosses Moon across the ring. Moon blocks a powerslam and goes for a Sleeper on Nia’s back. Nia tosses Moon to the mat. Nia blocks a shot. Moon counters a move and takes Nia down with a hurricanrana. Moon with a basement dropkick to send Nia out of the ring. Moon runs the ropes and hits a suicide dive but Nia is still standing. Moon goes back in but Nia pulls her right back out. Moon hits the mat on her face as the referee counts. Nia presses Moon on the floor but she slides out, stumbles around and hits her. Nia ends up running into the apron as Moon moves. Moon makes it back into the ring and Nia is counted out. After the match, Moon enters the ring to have her arm raised as Nia looks on and her music plays. Nia enters the ring and they hug. Nia raises Moon’s arm and they embrace again. Back from the break and we go to the ring and Nia waits with Moon as we see a sidebar video recorded earlier the day with the two. Moon mentioned Nia being nominated for a People’s Choice Award. Alicia Fox makes her way out with Mickie James and the injured Alexa Bliss. The match starts and Nia goes to work on Fox. 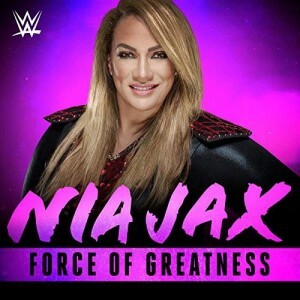 Nia overpowers and slams Fox. Nia with another big move, sending Fox to regroup on the floor with Bliss and Mickie. Moon runs over and nails a big rolling cannonball to Mickie on the floor. Nia comes out and rolls Fox back in the ring. Fox kicks Nia as she re-enters. Fox with a swinging neckbreaker for a 2 count. Fox keep Nia grounded in the middle of the ring now as Moon looks on. Nia powers up and rams Fox back into the corner while on her back. Fox counters and levels Nia with a running kick. Fox with another 2 count. Fox works Nia around with strikes. Fox charges but Nia scoops her for a big Samoan Drop and covers for the pin. After the match, Moon hits the ring to check on Nia and raise her arm. Bliss enters to check on Fox and help her out of the ring. 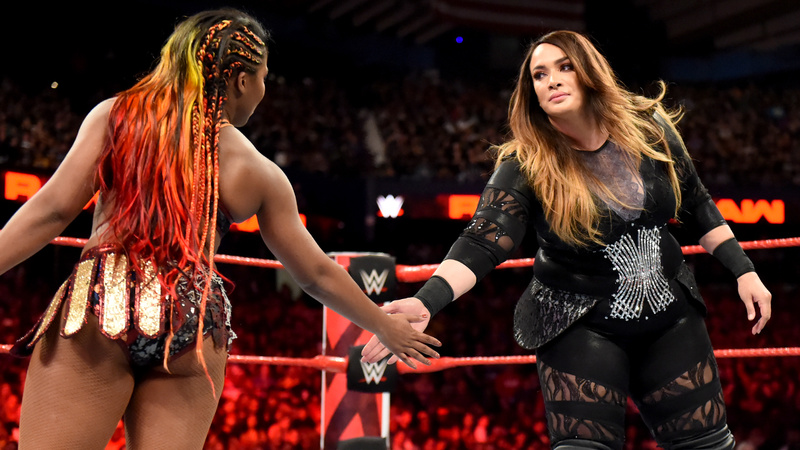 The Irresistible Force and The War Goddess comment on their mutual respect dating back to their NXT days and Ember Moon joining the second season of WWE Mixed Match challenge.